Editor's Note: Below is a brief excerpt from this week's edition Market Edges, our weekly newsletter of big picture Macro insights with investing implications. Click here to learn more about Market Edges. 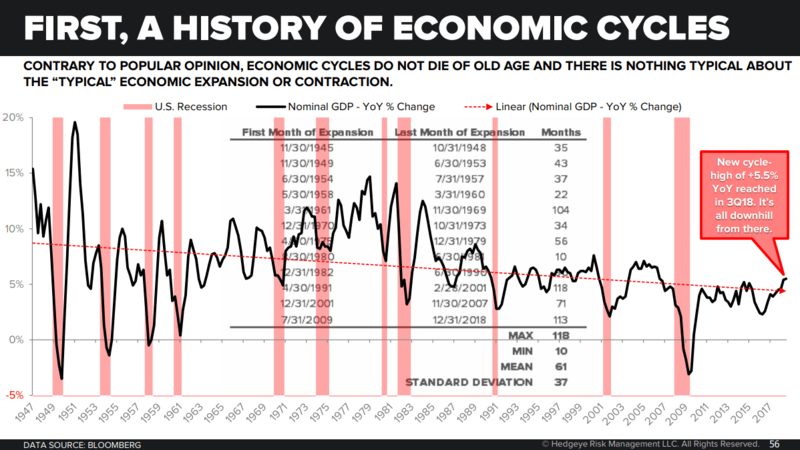 Contrary to popular opinion, economic cycles do not die of old age and there is nothing typical about the "typical" economic expansion or contraction. 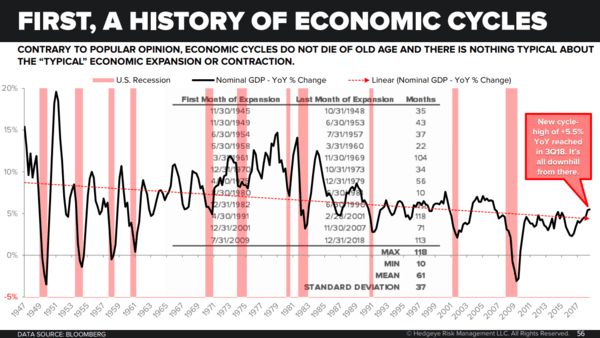 Consider this: The average U.S. economic expansion, with no recession, lasts 61 months. There's considerable variability around that average. The minimum expansion was 10 months (from 1980-1981) and the maximum was 118 months (between 1991 and 2001). Where does this current cycle stack up? 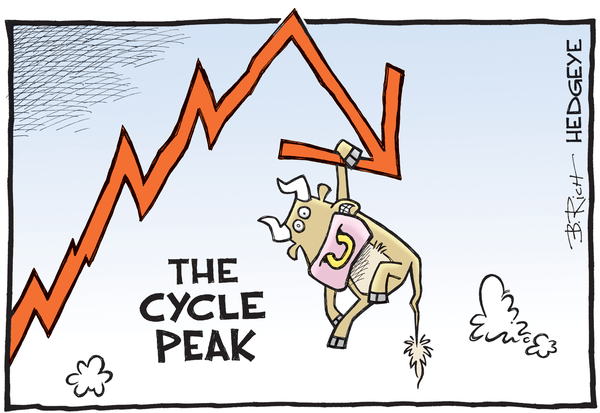 From the Great Recession low in 2009 to today, the U.S. economy has gone 113 months with no recession. Yes, that's the second longest streak in U.S. history.